While home is the best place to teach the foundation of health, school is the most logical, and one of the best ways to motivate and capture a student’s imagination. School enhances their understanding of taking personal responsibility for their health. Now the latest technology has entered the Physical Education classroom. 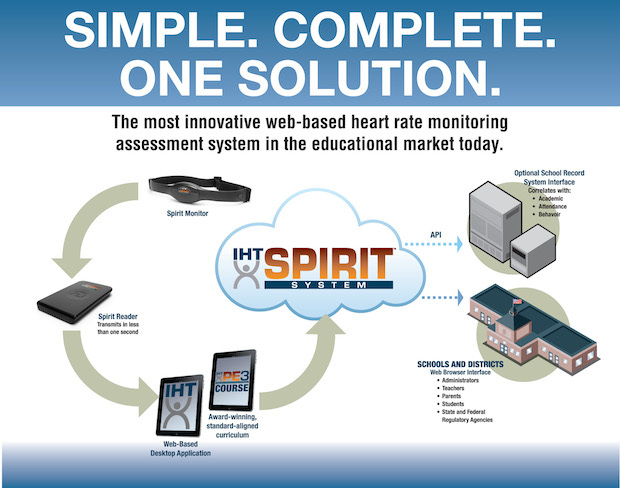 Based on heart-centered learning, IHT’s “Spirit System” and “PE 3” Curriculum and Journal (PE for the mind, body, spirit) are revolutionizing PE with the simplest, most innovative web-based heart rate monitor and curriculum assessment technology in the educational market today. Centered on cardiovascular and “heart-centered” well-being, IHT makes PE the hub of learning within the school day. 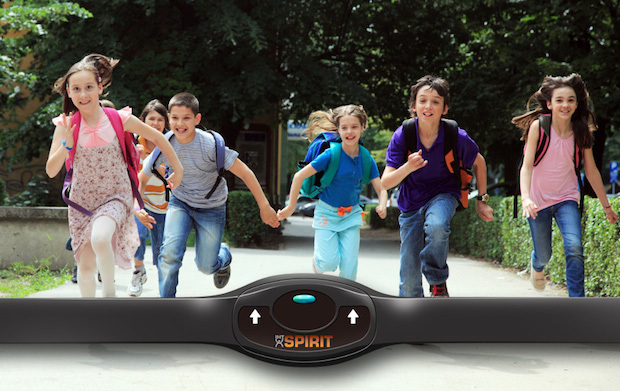 At the core of our solution is heart rate assessment, which is the most accurate and objective tool to directly measure the cardiovascular health of each and every student, every single day. Unlimited, customizable assessment fields allow measurement of anything a teacher, administrator or researcher can dream up. Our technology captures, stores, organizes and delivers individualized daily health data instantly to students and their parents, while correlating that data to academics, attendance, nutrition and behavior success, day-by-day or year-by-year. This data automatically rolls up to the class, school, district, state and national levels for unlimited trend analysis that is both superior and non-existent to solutions today. Collectively, our integrated and complete solution engages students and their supporters in a simple, yet comprehensive fitness, nutrition, academic and overall wellness program that enhances and inspires autonomy and ownership of one’s health while providing better interaction, collaboration and support between all parties. The results create a district-wide automated system of evaluation and accountability that lessons classroom management for teachers, increases quality teaching and learning during class, and most importantly, unites students to a lifetime connection to themselves and their support team. 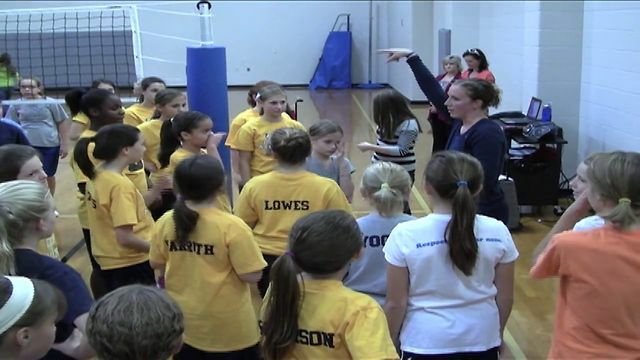 The Spirit System works by giving school districts a direct connection to the quality of their PE classes and validates the importance of physical education within the academic school day. We instantly provide accurate, objective daily data regarding the effort level and activity of every child. We help prove the effectiveness of lesson content and the ability to meet and exceed standards. We create a legacy for students and their families while meeting the day-to-day needs of school administration and compliance that enhances improvements in core subjects. What also makes our technology so unique and valuable is its ability to allow YOU to decide what to measure through our unlimited custom fields. Want to take attendance instantaneously? Want to manage and organize your PE, athletics, or teacher wellness classes and lessons with the touch of your finger or click of a button? How about preform pre and post fitness testing, or measure daily moderate-to-vigorous physical activity and correlate it to math and reading scores, or BMI and blood pressure over the course of a month, a year, or 10 years? It is all possible with the IHT Spirit System. Imagine 12 years from today, when your 1st graders walk the stage to receive their diploma and along with it, are handed their entire health portfolio correlated to their academic, attendance and behavior success. Graduation shouldn’t just be about how well schools have educated students from the neck up, but about how well they have prepared each student to live the healthiest, happiest, most prosperous life possible, powered through purpose. Next imagine organization’s such as the AHA, aggregating state-by-state reports that soundly prove the importance of daily PE and Health education K-12 and enhance preventative healthcare measures nationwide. In order for lifetime health habits to become ingrained and sustained, an individual must be an active participant in the learning process. In other words, if an individual doesn’t learn how to do it for themselves, it just isn’t done. The ideal place a student can be an active participant in that process is in physical education class. The earlier an individual can be exposed to, educated about, become aware of and understand the benefits and importance of living a healthy lifestyle, the better chance that individual has in sustaining those healthy habits into and through adulthood. The Spirit System and PE 3 Curriculum create that awareness and understanding daily. IHT has developed the gold standard in personal motivation and accountability by taking group training (which is often times in massive numbers within our schools) and individualizes and personalizes it. IHT creates a high tech, data-driven exercise prescription solution supporting and making each student matter every single day. At the same time, our technology strengthens, enhances and correlates a student’s health success to their academic, attendance and behavior improvements. IHT’s main focus and obligation is to the individual districts, schools and teachers who invest and partner with us in order to enhance their personal and unique needs and goals. However, having created the most advanced and robust assessment tool in the industry, that can in turn, automatically roll individual data up to the state, national or global levels, we have an opportunity and responsibility to help soften and even quiet the concerns legislatures have in regard to the validity of PE during the school day. Through our technology, we can now justify and measure PE’s effectiveness in its ability to teach students how to self-manage their health on their own accord as they age. The results will help decrease costs associated with healthcare, especially those associated with obesity-related diseases such as Type 2 diabetes, heart disease, cancer and depression, which by 2018, is estimated to cost American taxpayers nearly $344 billion annually and account for 21% of our nation’s overall healthcare expenses. While schools and partnering organizations are doing all they can, data drives decisions in the end. 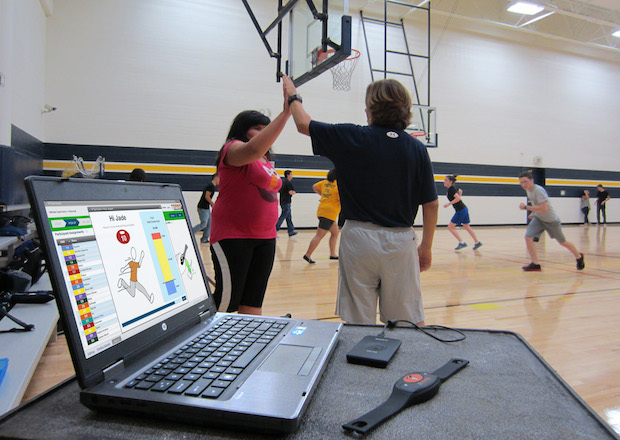 In order to continue to educate children through quality physical education programs and support continuing education for teachers, the data our IHT technology creates has the ability to truly provide a voice for districts and partners that can gain legislative support to grow, implement and ensure PE’s future in schools. We’re proud of the solution we’ve developed and committed to the mission we’re on to transform physical education nationwide. Our growth shows districts and schools across the country believe that as well. Since implementing in our first schools in February 2012, IHT is now flourishing in 17 states and hundreds of schools and universities. The solution to actualizing the American Heart Association’s 2020 mission lies not in a one size fits all approach, but rather in localizing and personalizing education. IHT puts the power in the hands of each student, each school and each teacher based on their unique needs and goals, while allowing trend analysis and data-mining to affect positive change. Through funds raised during this campaign, we can increase the number of schools benefiting from the IHT Spirit System and increase the power of the aggregated data collected. Most important to furthering the American Heart Association’s 2020 mission is to recognize that if children can get started on a healthy path early, are provided the proper resources and self-confidence to understand how to maintain that health on their own accord as they age (by being the full participant in the experience), if we can engage and educate parents every step of the way, and align the overall district-wide coordinated school health model for all stakeholders, then we’re on the right track toward a legitimate solution. Funding will support integrating the overall program into PE classes and schools in selected districts in grades K-12, potentially collaborating with partnering universities. A committee made up of key representatives from the AHA, IHT, and other key stakeholders will determine these selected schools based on need, funds raised through this campaign, desire and impact. Participating schools may also be selected through an AHA grant process that either funds the school program in full, or matches allocated district funding. Jen Ohlson, Co-Founder, President | Background: Jen leads IHT’s efforts to connect and strengthen the overall collaborative mission to effect real change in the health of youth. Strengths include long-range vision development and execution; management, building cooperative relationships and sales. Ben Bentzin, Co-Founder, CEO | Background: Ben’s areas of focus include brand development, product marketing, social media and corporate communications. Ben has more than 20 years of operational experience within start-up and early-stage companies specifically in the technology realm. Beth Kirkpatrick, Director of Education | Background: Considered one of the key architects and pioneers of the technology movement in Physical Education for over thirty years, Beth oversees IHT’s impact, growth and reach in schools. 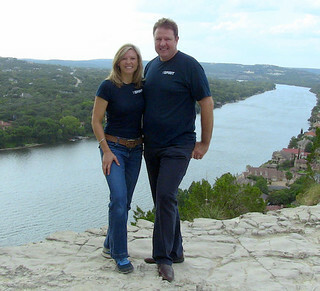 Jerel Cantrell, Sales Manager | Background: Jerel has spent his entire career in the educational sales market and has been recognized as an industry leading consultant for schools and companies nationwide for over 22 years. As a thank you for your donation, you'll receive a copy of the award-winning documentary "Health Needs a Hero". Written and directed by IHT founder Jen Ohlson and narrated by Academy Award nominee, Edward James Olmos. This powerful, inspiring film details the epidemic of our childhood health issues associated with obesity, the solutions to reverse the trends and model programs making a difference. SCHOOLS: Receive the box set of "Health Needs a Hero", which includes the full length version and the condensed student version which contains student worksheets. Also receive the electronic version of both the PE 3 Curriculum and Student Journal, so successful in reducing obesity and increasing self-confidence in students, it was made into an official PE Course statewide in Texas and is now aligned to Common Core and National Standards. 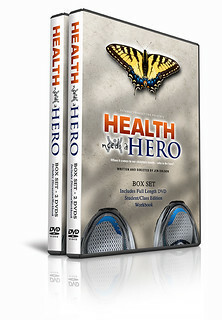 PARTNERS: Receive three box sets of "Health Needs a Hero", which includes the full length version and the condensed student version which contains student worksheets. 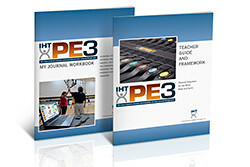 Receive the electronic version of both the PE 3 Curriculum and Student Journal, so successful in reducing obesity and increasing self-confidence in students, it was made into an official PE Course statewide in Texas and is now aligned to Common Core and National Standards. 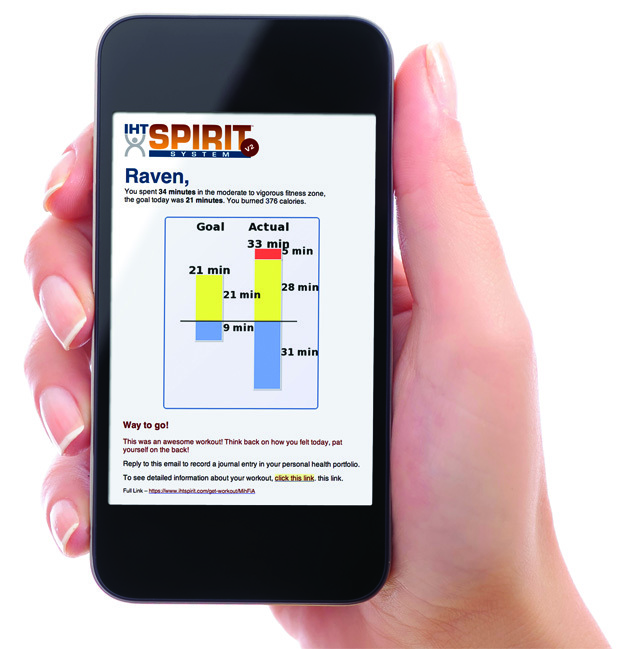 Receive an “IHT Spirit Demo Kit” that includes a heart rate monitor, reader and a one-year license for of IHT’s assessment measurement software. Receive recognition on IHT’s website as a “Hero for Health” Receive recognition at the partnering district that directly benefits from your support on promotional, marketing, PR and media related efforts surrounding IHT’s implementation. Receive recognition with your logo on a 3’ x 5’ vinyl “Heart Fit in the Zone” banner that will hang in the gym. PARTNERS: Interested in using IHT Spirit as a customized platform? Your support will help IHT Spirit expand our ability to develop software to reach people at all age and activity levels. Perfect for rehab centers, adult day care, LTCs, fitness classes, gyms, community programs and more. 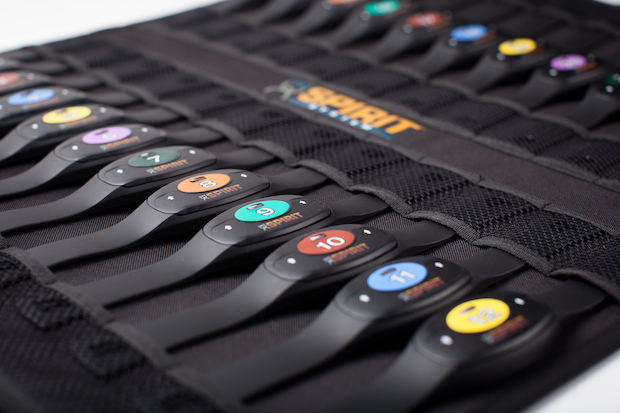 Bring a customized IHT Spirit system to your exercise program and help your people get stronger! Please contact us for details before you take this reward. Founder of Interactive Health Technologies (@IHTSpirit) and winner of the 2014 AHA NYC Challenge.